GAP2 will be live streaming portions of the symposium via Bambuser. View GAP2’s Bambuser channel here. To set up an account and follow GAP2, please click here. You will be able to use this app to submit questions during panel sessions, which we will aim to share with the audience in Barcelona. We will be streaming all panel sessions and workshops on Day One and Day Two of the event – the 24th and 25th February. 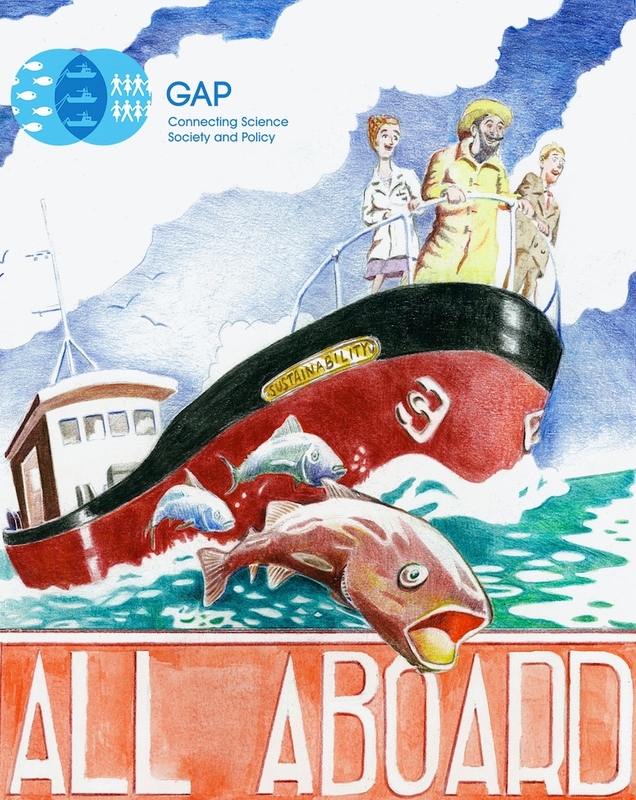 GAP2 is delighted to announce an international symposium in February 2015, to celebrate and reflect on the work of all GAP2 participants and partners over the last four years, at the forefront of participatory fisheries research in Europe. GAP2’s purpose is to demonstrate the role and value of stakeholder-driven science within the context of fisheries’ governance. Put simply, we bring scientists, fishermen and policy makers together. During the three-day symposium, we will provide an open forum to discuss and critically examine the successes and challenges of participatory research methods, using experience gained ‘in the field’ with fishers, scientists, and policy makers. Bringing together evidence from our 13 research case studies and beyond, we will debate perspectives on fisheries co-management and the role that participatory research can play in facilitating co-management. The GAP2 international symposium is being designed for fishers, scientists, policy makers, journalists, and communication professionals from across Europe, with an interest in how more inter-disciplinary collaboration can help build and support sustainable fishing practices across species and across national boundaries. Registration for the GAP2 symposium is free of charge. Click on this link to complete a registration form for the event (Registration for this event is now closed). Translation services will be provided for the following languages: English, Spanish and Italian. The event will provide an open forum for those involved in participatory and co-management projects to exchange views and experiences. The event will also examine the wider application of participatory and co-management research as a key component of Responsible Research and Innovation (RRI) in the EU. The Gap2 project is excited to announce that it will be holding a co-management workshop within the International Symposium. There is increasing consensus worldwide that multi-stakeholder participative approaches radically improve fisheries governance, mainly due to an increased co-responsibility of main actors. The workshop will address co-management from different technical and policy perspectives, and will look into the specifics of successful examples globally and locally. Former EC fisheries Commissioner called it “revolutionary”: Co-management –understood as the deep involvement of main stakeholders in fisheries decision-making- is quickly gaining ground as an approach with the potential to deliver sustainability to the chronically overfished Mediterranean fisheries. The Gap 2 partners, including WWF, will be bringing together international experts to showcase the opportunities that exist to move the region’s fisheries forwards. We hope you can attend this important and significant event. Workshop on ‘Approaches & Methods for incorporating and enabling fishers knowledge in Science’. Day 3. To conclude the GAP2 International Symposium, delegates are invited to join a field trip to one of the project’s participatory research case studies. Coaches will take those who wish to joint the expedition along the Catalan coastline to picturesque Palamos, where a tour of the local harbour, the co-operative fishing association and the fishery museum will be provided. Participants will have the opportunity to chat with local fishers, including those involved in the ‘Red Shrimp Case Study’ and will learn in detail about fisheries in the area. The expedition will be rounded off with a gala dinner at beach-front venue, Hotel Trias. A supplementary charge of €50 is required for the field trip, which covers all travel and food. The GAP2 Great Exhibition will be a key part of the first day of the International Symposium. As a conference focusing on participatory research and collaboration we want YOU to take part in this Exhibition. The session will be an interactive, market place style session, where we are inviting the creative presentation of participatory research methods and experiences. If you are interested in presenting at the Great Exhibition, please click here to see how to get involved. The GAP2 International Symposium will take place at Barcelona’s World Trade Center. Following our sustainable fishing theme the building, designed by architect Henry N. Cobb, is inspired by the shape of a ship. It is located by the Mediterranian Coast within Barcelona’s historic centre, and just 15 minutes from the airport. The World Trade Center Barcelona is located in Barcelona’s Port Vell (Old Port), and is easy to access from anywhere in the city. It is accessible by road, rail, metro, and of course taxi services. Please click here for more information on how to make your way there. There are three airports around Barcelona: (Barcelona El Prat; Barcelona Reus; Barcelona Girona). For accessibility we advise, if you can, to fly into Barcelona El Prat. It is the closest to Barcelona and has a variety of different transportation options for you to get to the city centre (i.e. Metro, Taxi, Bus). Both Barcelona Reus and Barcelona Girona are accessible as well, but are found further away from the city. The symposium will be taking place in the vibrant mediterranean city of Barcelona. Throughout the two days you may find yourself free to explore the city, if so have a quick look at the Barcelona Tourist Information website to see what is happening! The Tryp Apolo Hotel. Click here to find out the location of the Barcelona Apollo Hotel. For booking rooms please click here, the deadline for GAP2 rooms is the 21st of January 2015. The Eurostars Grand Marina. Click here for the location of the Eurostars Grand Marina. For the booking form please click here, the deadline for GAP2 rooms is the 15th of December, 2014. Find out more about the international GAP2 project by exploring our website. Learn some more about the 13 different case studies situated in 11 european countries, this years 7 exchange trips, or even have a quick look at the GAP2 movie below! GAP2′s work is coordinated by a interdisciplinary team across Europe, with expertise ranging from social science to fisheries management. The project is divided into six work packages, which are explained in detail here. For more information on individual team members please click here. What Happened at the #GAP2IS?